Sometimes you need a prop or element that doesn’t exist. We can make it for you. 3D printing was the core of this project. We were supplied actual files from the game designers and converted them to be made for the real world. 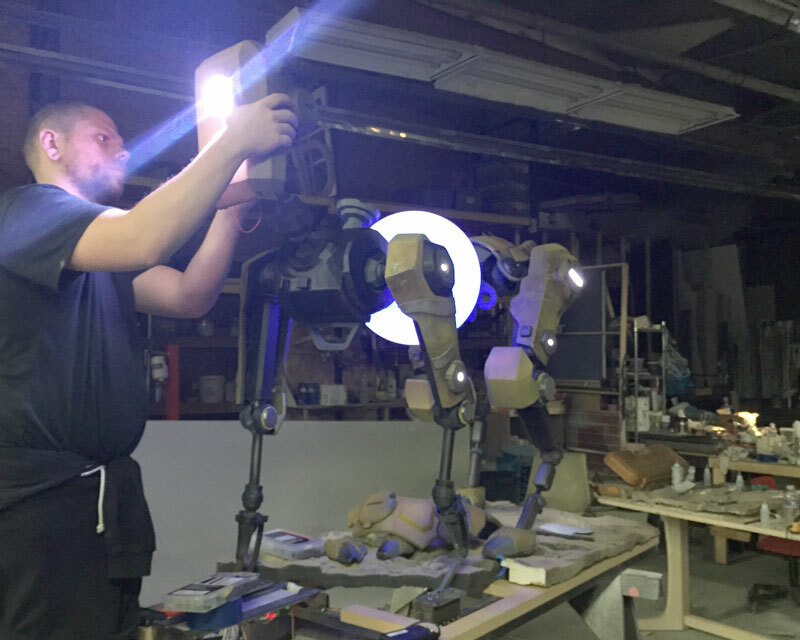 With dozens of parts and details we built this mechanical robot dog to showcase the look and feel of the game ReCore. It featured a moving head, sounds and an LED glowing orb in the middle.